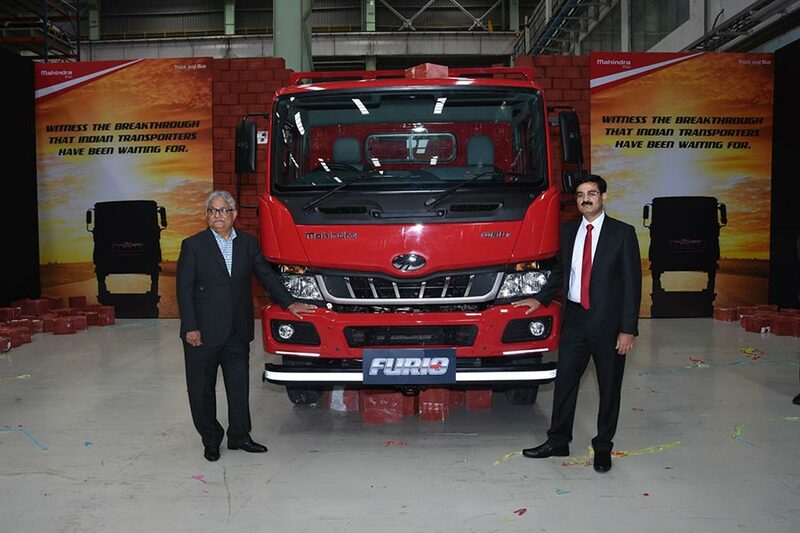 Mahindra’s Truck and Bus Division (MTBD), a part of the USD 20.7 billion Mahindra Group, today unveiled the FURIO, its brand new range of Intermediate Commercial Vehicles (ICVs). FURIO marks the company’s entry into the ICV segment and is set to make Mahindra a full range commercial vehicle player. Mahindra FURIO is the culmination of focused efforts from more than 500 Mahindra engineers, 180 suppliers and an investment of Rs. 600 crores. The unveiling of the new FURIO range of ICV trucks is a defining moment for our Truck and Bus business as we are set to enter a new orbit and become a full range commercial vehicle player. With Pininfarina inspired design, the FURIO is set to be a game changer for us and perhaps for the industry, giving the new truck one of the safest, most ergonomic and comfortable cabins that will set new standards. I am confident that just like the BLAZO HCV Series, the FURIO range of ICVs will also set new benchmarks for performance, earnings and deliver better value to customers. The Mahindra FURIO bears testimony to Mahindra’s capability of bringing the best to Indian customers, since it is based on meticulously gathered customer insights. The launch of the FURIO comes closely on the heels of the successful introduction of Mahindra’s HCV range of trucks, the BLAZO, which also resulted in substantial volume and market share growth for Mahindra. With the addition of this new range of ICVs, MTB will emerge as a complete trucking solutions provider in the Indian CV market. Indian ICV customers have been longing for a truck which can deliver higher earnings, lower operating costs, better safety, improved ergonomics, a comfortable ride and most importantly a world-class ownership experience, as an ideal package. Our new FURIO range is built precisely around these elements and we are confident that it will soon be a preferred choice for ICV customers. At Mahindra Truck and Bus Division we have revamped our portfolio and offered assurances to our customers which in turn have enabled us to outpace the market growth. Going forward we are poised to redefine the way business is done in the ICV category and hope to have a significant share of that segment. ICV transporters expect FURIO to improve their operating economics through higher mileage, low maintenance and more power for increased load carrying capacity. Keeping this in mind, the new MDI Tech, ICV Engine will be equipped with Mahindra’s FuelSmart technology to optimize fuel consumption. The highlight of this technology is the multimode switches to optimize fuel consumption to the load and road conditions. Apart from this, the MDI Tech engine will be light weight, and low friction to further enhance its efficiency. The engine will offer high torque at low RPMs, leading to higher performance in both inter-city and intra-city traffic conditions. During its development, Engine Testing included two phases of accelerated testing of 8,000 hours each with different test cycles.